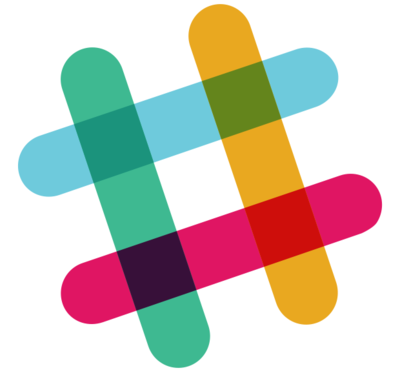 I was recently introduced to Slack by a friend of mine and found it to be quite awesome (especially if the organization that you are working in doesn’t block their site). It allows you to have all of the communication in the organization to be in one place. So I thought: “If that’s the place where all the communication goes, SiteScope should send it’s alerts there as well”. 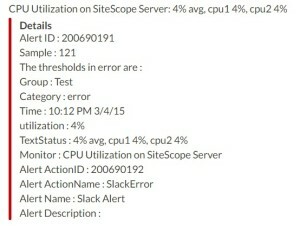 That’s how this SiteScope to Slack Alerts Integration idea was born. 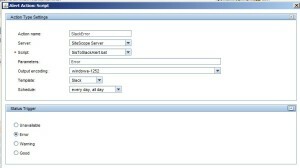 The Integration is based on slack-webhook by gpedro. 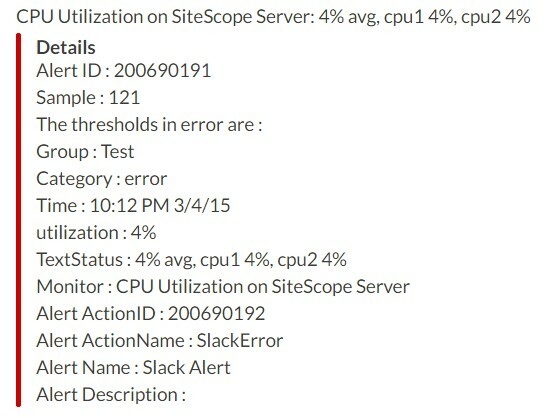 At the current version this Slack to SiteScope Alerts Integration is pretty basic: It uses standard SiteScope script alerts parameters to get the name of the monitor and its status, as well as the location of alerts file that is been created and drops the content as the Slack message attachment. Enough theory let’s get to work! 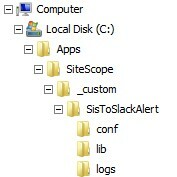 If you you’ve extracted the SisToSlackAlert.zip to a location other than <SiteScope_Dir>\_custom update the <SisToSlackAlert_Dir>\conf\log4j.properties (the value you configure should be relative to the <SiteScope_Dir> folder). So after you’ve finished your configuration you want to see some results! 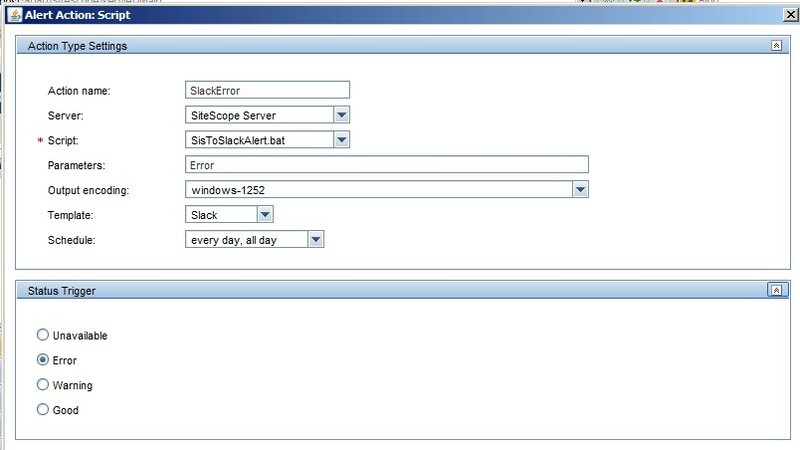 <SisToSlackAlert_Dir>\logs\SisToSlackAlert.bat.log – Logs parameters that the Java code was called with, Refreshed each time the Alert’s action is triggered. I have a few thoughts about making this Slack to SiteScope Alerts Integration more robust and will be happy to hear your ideas about that. and any other thoughts you might have about the current version.